Brazo De Mercedes by Solubarome. One of the best Vanilla Custard, like the famous traditional Filipino dessert Brazo de Mercedes: A Creamy Biscuit without calories. Warning: The aroma must be diluted in a base. 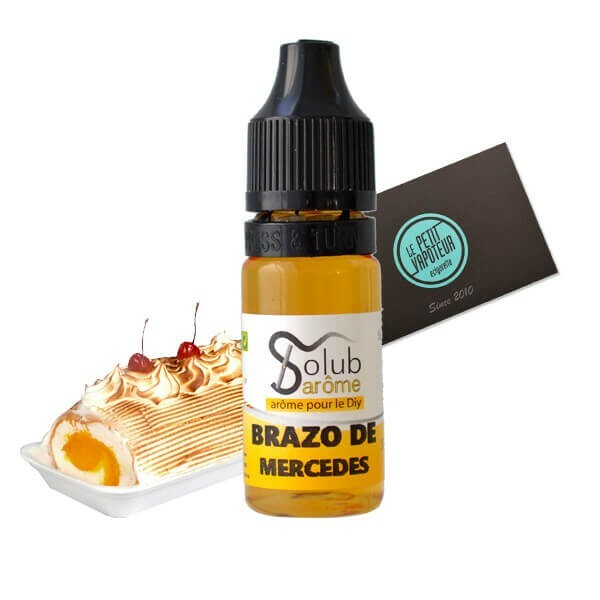 The Aroma Brazo De Mercedes is made by Solubarome. Un très bon custard a prix solubarome !